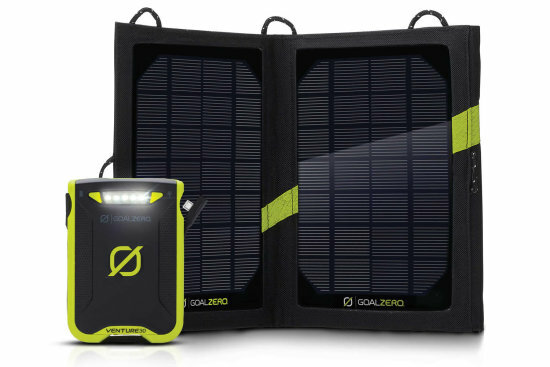 From the unexpected to the well-planned, Goal Zero Solar Kits helps you power anything, anywhere. 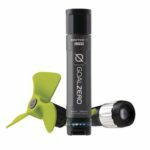 Their rugged power packs and solar panels combine into easy-to-use, plug-and-play kits to help you get out and stay out. The epitome of portable power and solar power together. 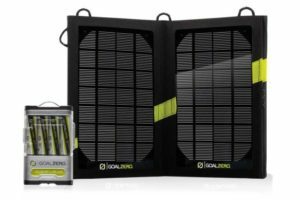 Take care of all your power needs with these plug-and-play solar panel and power pack kits. Get the most reliable emergency LED light for any situation with the Torch 250 Flashlight. 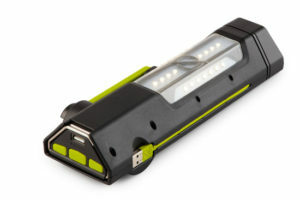 Built-in USB charging cable, solar panel and hand crank for bright light anywhere. ... MORE. More than a phone charger, more than a flashlight; the only all-in-one power solution for your pack. Quick charge phones, POV cameras, and other USB-powered gear ... MORE. With the Guide 10 Plus Recharger and Nomad 7 Solar Panel you have a portable, rugged charging kit as adventurous as you are. Charge AAs from the sun or any USB port, then power your phone, MP3, GPS ... MORE. The most rugged, durable, weatherproof phone and tablet recharger on the market, no rubber plugs needed. Charge up from USB or included solar panel. ... MORE. Power it all from the sun with a portable power station kit. Serious power using portable power station kits. Enjoy complete portable power self-reliance. The Goal Zero Yeti 150 Portable Power Station is a gas-free source of portable power to keep lights, phones and laptops powered on through any situation. 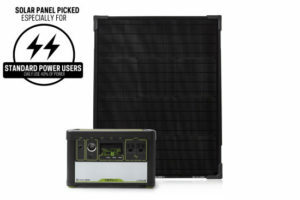 Nomad 14 Plus Solar Panel has a 14-Watt panel re-engineered to be lighter and smarter, the Nomad 14 Plus Solar Panel has the innovative technology to charge USB devices directly from the sun. ... MORE. 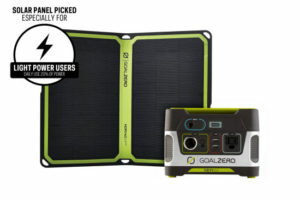 The Goal Zero Yeti 150 Portable Power Station is a gas-free source of portable power to keep lights, phones and laptops powered on through any situation. 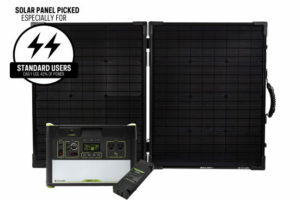 Nomad 28 Plus Solar Panel has a 28-Watt panel re-engineered to be lighter and smarter, the Nomad 28 Plus Solar Panel has the innovative technology to charge USB devices directly from the sun. ... MORE. A 28-Watt panel re-engineered to be lighter and smarter, the Nomad 28 Plus Solar Panel has the innovative technology to charge USB devices directly from the sun. ... MORE. The Goal Zero Yeti 400 Portable Power Station allows you to live life off the grid, camp in luxury, or power through an outage without the noise and fumes of traditional back-up generators. 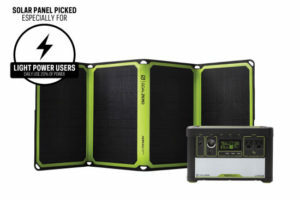 Boulder 50 Solar Panel Rugged, durable, and rigid. The Boulder 50 Solar Panel is built with strong tempered glass and an aluminum frame with added corner protection for temporary or permanent installation. ... MORE. Yeti 1250 Lithium Portable Power Station The epitome of unlimited, portable backup power for complete peace of mind. From phones to refrigerators, and everything in between, you have the power to back up your life in any situation. Boulder 100 Briefcase Solar Panel is built with Composed of two Boulder 50 Solar Panels (100 watts total) chained together and connected by a hinge. ... MORE. Goal Zero Yeti 400 Lithium Portable Power Station is easy to pack and ready to keep you powered up with over 400Wh. 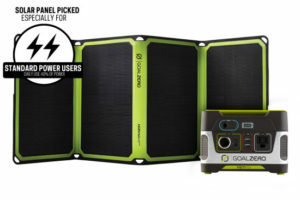 Boulder 50 Solar Panel rugged, durable, and rigid. 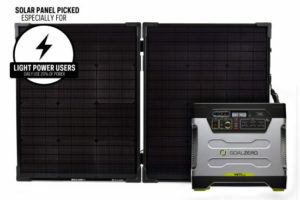 The Boulder 50 Solar Panel is built with strong tempered glass and an aluminum frame with added corner protection for temporary or permanent installation . ... MORE. 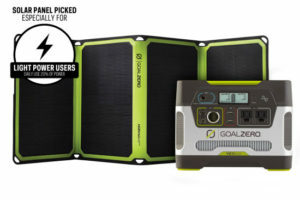 Goal Zero Yeti 400 Lithium Portable Power Station is easy to pack and ready to keep you powered up with over 400Wh. Nomad 28 Plus Solar Panel has the innovative technology to charge USB devices footprint allows for quicker charging for the Yeti and Sherpa power packs . ... MORE. Designed to be the most versatile and innovative power station on the market, the Goal Zero Yeti 1000 Lithium Portable Power Station features a patent-pending 1500W AC inverter designed to tackle any job, both indoors and out. Boulder 100 Briefcase Solar Panel is built with Composed of two Boulder 50 Solar Panels (100 watts total) chained together and connected by a hinge. ... MORE. The Yeti 1400 Lithium Portable Power Station is the next generation of portable, award-winning power, versatile and innovative power stations on the market. Built-in surge allowance and multi-stage protection means great compatibility with more devices. 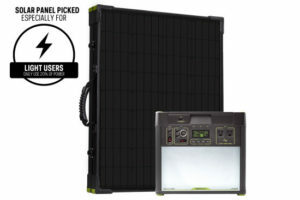 The Boulder 100 Briefcase Solar Panel is built with strong tempered glass and an aluminum frame with added corner protection for temporary or permanent installation. Composed of two Boulder 50 Solar Panels (100 watts total) chained together and connected by a hinge. ... MORE. 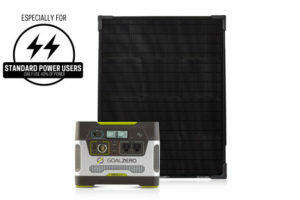 The Goal Zero Yeti 3000 Lithium Portable Power Station is the epitome of on-demand power at the push of a button, a clean alternative to a gasoline-powered inverter generator that produces 1500W of continuous power and a 3000W surge for running high-power devices. The Boulder 200 Solar Panel Briefcase is the largest Goal Zero monocrystalline solar panels (200W total) in an easy-to-carry briefcase form makes for the ultimate on-the-go setup.... MORE.